Birth 1 June 1912 Ernest William Fisher was born on Saturday, 1 June 1912 at Winchelsea, VIC, AustraliaG. He was the son of Sergeant William Thomas Fisher and Ada Rebecca Aspland. Marriage 26 December 1940 Ernest William was married to Muriel O'Neil on Thursday, 26 December 1940 at Pascoe Vale, VIC, AustraliaG. Death 29 July 1987 Ernest William Fisher died on Wednesday, 29 July 1987 at Rosebud, VIC, AustraliaG, at age 75. Birth 29 June 1913 Harold Lindsay Fisher was born on Sunday, 29 June 1913 at Camperdown, VIC, AustraliaG. Death 15 August 1988 Harold Lindsay Fisher died on Monday, 15 August 1988 at Camperdown, VICG, at age 75. Birth 17 December 1914 Alfred Henry Fisher was born on Thursday, 17 December 1914 at Birregurra, VIC, AustraliaG. Marriage 11 November 1939 Alfred Henry was married to Lydia Bertram on Saturday, 11 November 1939 at Camperdown, VIC, AustraliaG. [S253] Stephen Mark Brooks, "The Brooks Family Events," e-mail to Robert Mote, 2001, e-mail dated 23 February 2004. Birth 11 December 1925 Jean Campbell was born on Friday, 11 December 1925 at Camperdown, VIC, AustraliaG. She was the daughter of Robert James Campbell and Ada Rebecca Aspland. Birth 5 August 1908 Iona Cameron was born on Wednesday, 5 August 1908 at AustraliaG. Marriage 21 December 1935 Iona was married to Leslie Maurice John McMahon, son of Maurice McMahon and Ethel Marion Aspland, on Saturday, 21 December 1935. 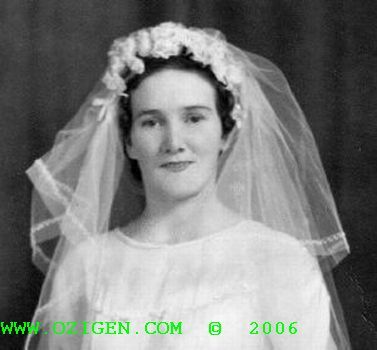 Married Name 1935 As of 21 December 1935, her married name was Iona McMahon. Birth 26 December 1937 Donald Cameron MacMahon was born on Sunday, 26 December 1937 at AustraliaG. He was the son of Leslie Maurice John McMahon and Iona Cameron. Name Variation Donald Cameron MacMahon was also known as Donald Cameron McMahon. [S881] Letter, Margaret Dendle to Robert Mote, 12 July 2010. Birth 26 August 1913 Doreen Kathleen Rainey was born on Tuesday, 26 August 1913 at AustraliaG. Marriage 19 September 1936 Doreen Kathleen was married to Albert William McMahon, son of Maurice McMahon and Ethel Marion Aspland, on Saturday, 19 September 1936. Married Name 1936 As of 19 September 1936, her married name was McMahon. Birth 13 January 1915 Elsa Ferguson was born on Wednesday, 13 January 1915 at AustraliaG. Marriage 19 December 1936 Elsa was married to James Neil McMahon, son of Maurice McMahon and Ethel Marion Aspland, on Saturday, 19 December 1936 at VIC, AustraliaG. Married Name 1936 As of 19 December 1936, her married name was McMahon. Birth 24 October 1917 Lawrence Norman Karutz was born on Wednesday, 24 October 1917 at Tanunda, SA, AustraliaG. He was the son of Albert Karutz and Meta Martha Kurtz. Marriage 2 October 1943 Lawrence Norman was married to Isla Margaret McMahon, daughter of Maurice McMahon and Ethel Marion Aspland, on Saturday, 2 October 1943 at St Andrews Church, Geelong, VIC, AustraliaG. Burial February 1998 He was buried in February 1998 at the Highton Cemetery, Geelong, VIC, AustraliaG. 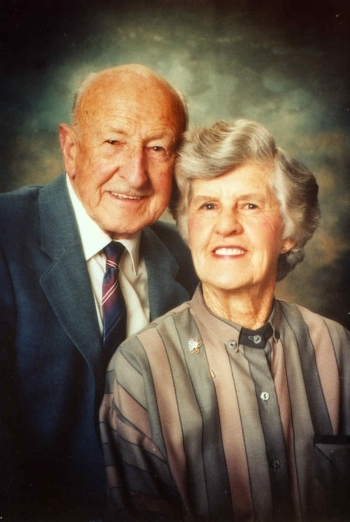 Birth 1 December 1912 Ivan Claude Middleton was born on Sunday, 1 December 1912 at Geelong, VIC, AustraliaG. Marriage 28 June 1941 Ivan Claude was married to Dorothy Jean McMahon, daughter of Maurice McMahon and Ethel Marion Aspland, on Saturday, 28 June 1941 at Geelong, VICG. Death 30 January 1996 Ivan Claude Middleton died on Tuesday, 30 January 1996 at Geelong, VICG, at age 83. [S822] Graeme Middleton, "Claude Walter Middleton," e-mail to Robert Mote, April 2009.